Lottie kite flyer fin Doll has the brown hair and green eyes. The well-articulated doll is dressed in cargo shorts, long sleeves T-shirt, and cute sneakers. It also comes with the kite. The movable joints are allowing the kids to execute their imaginative story in better way. The doll is available in the size of 7 inches. The Lottie dolls for girls can be the perfect birthday gift for girls. You can find durable and high quality lottie dolls from the imported collection of Amazon doll online shopping in Pakistan. Place your order now to get it at your doorstep. 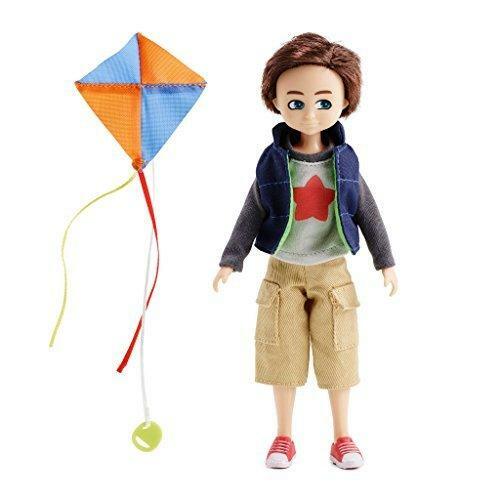 Doll dressed in cargo shorts, star-themed long sleeve t-shirt, puffer gilet, sneakers and comes with a diamond-shaped kite. Hair: Brown; Eyes: Green. The Lottie Doll set are 7 inches (18cm) tall, the ideal size for little hands making them the perfect companion toy for a boy or girl. Outfits made from tactile, durable fabric, interchangeable between dolls to make dress up play more fun. All dolls have high quality saran hair which is tangle resistant. Lottie is much more than a princess fashionista, encouraging children to enjoy an active unplugged childhood, full of adventure. Free standing and ball jointed, this cute, portable doll is made to move and designed to inspire young imagination and wonder. 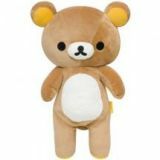 This popular toy champions childhood inclusivity and diversity encouraging kids to pursue lives free from limitations regardless of background, gender, ethnicity or ability. Be Bold, Be Brave, BE YOU!